Home maintenance is a task that you might think you’re taking care of efficiently, but it’s more than just sweeping the front porch once a week or removing seasonal decorations when the celebration is over. There are many important exterior household maintenance jobs that you have possibly overlooked. 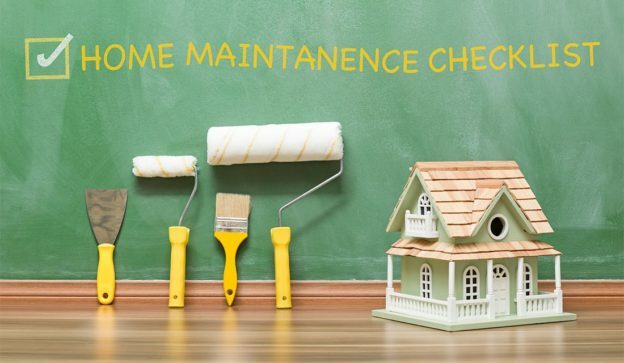 A seasonal home maintenance checklist can help remind you of the necessary tasks around your home that need to be done regularly. Southwest Florida’s climate can most accurately be divided into two seasons: the very hot, wet and humid season that corresponds to spring and summer, and the somewhat cooler and drier season that could be called fall and winter. Certain preventative maintenance jobs are best performed during one of these two seasons. HVAC maintenance: A home’s heating, ventilation and air conditioning system (HVAC) is often ignored until it stops working properly, usually during a heat wave. Keeping the outdoor air conditioning unit in good working order means that you won’t suffer and sweat through hot and humid days and nights because your air conditioner stopped running. The air conditioning system’s exterior unit needs to be checked carefully. It’s important to make sure there are no leaves, tree limbs or other debris around the unit left over from storms and wind that occurred during the cooler months. These debris should be removed so that air can move around the unit unimpeded. The unit’s coils and vents should be cleaned as well, and have the proper amount of freon checked by a qualified HVAC contractor. These tasks might better be handled by a qualified HVAC technician. Living in Florida also means living with all manner or creature that might find its way into parts of your HVAC system. Every year we find at least one frog that get stuck below the fan and never made it back out. When the air conditioner kicks on in the heat of summer we are hit with the very distinctive odor caused by the dead frog. Exterior foundation: Your home’s foundation, siding and other exterior components might have suffered damage from storms or simply from aging. Taking a look at your home’s exterior is an important part of a cool-season check-up. Peeling or chipping paint, damaged siding and holes or cracks in the foundation should be repaired to improve stability as well as appearance. A home inspection company can help you determine how to handle needed repairs. Roof and gutters: Your roof and gutters shouldn’t be ignored either. Take a look at the shingles on your roof or have a professional do it for you. Shingles should not be curled, broken or missing altogether. Any of these signs means that your roof will start leaking sooner rather than later. Keeping your gutters clean also helps protect your roof. Removing debris that is clogging gutters will help better direct water flow. This will help prevent the water from backing up under your roof shingles or draining so close to the foundation that it collects in your basement or crawl space. Trees and perennials: Your trees, shrubs and perennial plants may have experienced some damage from cold temperatures or high winds during the cooler months, or may just be getting older. In either case, you’ll need to trim back the dead, dying or diseased sections. This will help the plants last longer and look better. Some trees, shrubs or perennial plants might have grown into cracks around your foundation, causing the cracks to enlarge. Pruning will help eliminate this problem. Swimming pool: Your swimming pool is an essential and enjoyable part of your family’s home life, so it needs to be consistently maintained. If you haven’t used the pool for several months, it will need to be cleaned, particularly if it wasn’t covered. Leaves and other debris will need to be removed, then the water will need to be topped off. You’ll want to make sure the chemicals are properly balanced, a task that is often handled by a professional pool service. Once the chemicals are balanced and the pool is clean, maintaining the filtration system and keeping debris out of the pool will be a weekly or even daily task. Doing regular home maintenance to prepare for the cooler, drier season is a bit different for Southwestern Florida homeowners than it is for those in colder climates, but it’s still important. Overlooking these tasks can lead to more serious problems later. HVAC system: Your HVAC system, which has so efficiently kept you cool and comfortable during the hot, humid months, now needs to be readied for the cooler and drier season. Filters and coils that worked hard during the hot months should be cleaned so that they can warm your home efficiently when the temperature drops. Make sure and have the proper amount of freon checked by a qualified HVAC contractor If you don’t have the time or knowledge to do this yourself. A qualified technician can always handle these maintenance tasks quickly and inexpensively. Trees and flower beds: Get your trees, flower beds and shrubs ready for the cooler weather as well. Flower beds can be mulched before cooler weather sets in to help protect them. Shrubs that show signs of damage or disease can be treated as well. If you have any tree limbs that are located too close to power lines, it’s a good idea to trim them back. You’ll be glad you did when your electricity stays on during a wind storm. Swimming pool: You’ll need to prepare your pool as well for the cooler months when it isn’t being used. The most important thing you need to remember is to keep some water in your pool during the cooler months to help protect it. The chemical levels should be checked and adjusted if necessary, and the filter should be cleaned. When these chores are done, it’s essential to cover your pool for the cooler season so that debris won’t cause additional harm your pool. Taking these preventative maintenance steps requires a bit of planning and some of your time, but they pay big dividends in helping to lower costs and prevent headaches later on. You’ll be glad that you don’t have to make big repairs or replace components that weren’t maintained properly. You’ll instead have time to enjoy your home. 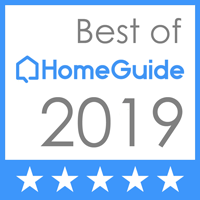 This entry was posted in Home Inspection Information and tagged Home Inspection, Home Maintenence on February 20, 2018 by wpadmin.